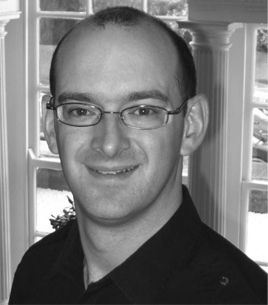 Mark Siddall trained as an architectural technologist before training as an architect. He established LEAP in 2011 and he's also written over 30 articles and papers on building performance and Passivhaus. Get free access to his research. In very poorly ventilated buildings mould and fungus can grow on the surfaces and in carpets, etc. This can cause respiratory problems for the occupants. Humidity can also have an impact. In a low humidity environment immune systems can become depleted and there may be increased incidents of asthma. If humidity gets too high then dust mites can populate a home quite quickly and that can increase the likelihood of asthma, too. Mark says there's a reasonable amount of evidence to suggest that unless occupants perceive a problem with ventilation they just get on with their lives. In older homes that are particularly leaky anyway few issues tend to arise. However the more airtight a building is, the more important the control strategy becomes (whether it's a natural or mechanical ventilation system). Windows with trickle vents and intermittent mechanical extract ventilation. Windows with trickle vents and passive stack ventilation. Mechanical extract ventilation with trickle vents is by far the most common ventilation strategy (in the UK) but with a focus on lower energy buildings there is a move towards mechanical ventilation with heat recovery (MVHR). Mark describes some of the circumstances that have led to occupants switching off their mechanical ventilation systems. For example, if people are conscious of their finances they can perceive that a mechanical ventilation strategy is more costly. This need not necessarily be the case if it's a well-designed system with some low energy fans. In a similar way people who are environmentally aware might think that by switching off the ventilation system they are reducing their carbon emissions. Another trigger can be when the ventilation system is too noisy. Unless there is a natural ventilation strategy, switching off the mechanical ventilation will have an impact on the indoor air quality. Whether it's a natural ventilation strategy through trickle ventilators or a mechanical ventilation system there is likely to be some level of noise. The question is really what should be considered an appropriate level. There is research suggesting that the World Health Organisation noise level may not be appropriate for mechanically ventilated buildings. Similar to an attenuator for a car exhaust there are attenuators for ventilation systems. They can be situated at appropriate locations within the house to prevent break out noise from the ventilation system into the rooms and also to help reduce the risk of noise transfer between rooms. Is There Drier Air Inside Buildings with MVHR? Mark explains why some of us might perceive drier air inside buildings that have mechanical ventilation with heat recovery. If it's cold outside, for example zero degrees, then the air can only hold so much moisture. When that moisture is brought inside the building, its temperature is raised and the relative humidity of that air drops. It's that dry air that is then created that might be perceived through dry noses, dry eyes and the likes. It's important to note that this is irrespective of whether it's a mechanical system or a natural system, assuming that they're both supplying the same amount of fresh air. Clocks and Fridges Are Often Noisier than Ventilation Systems! 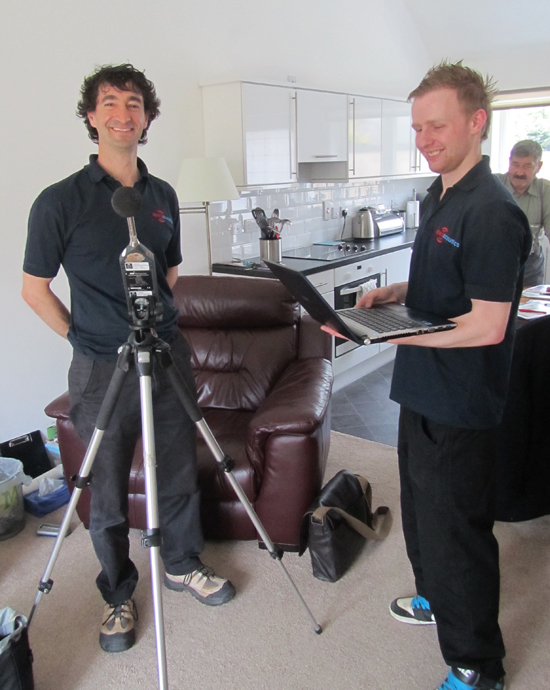 Mark reflects on some research he was doing with Jack Harvie-Clarke from Apex Acoustics, where they were trying to identify whether there were potential noise issues from ventilation systems. 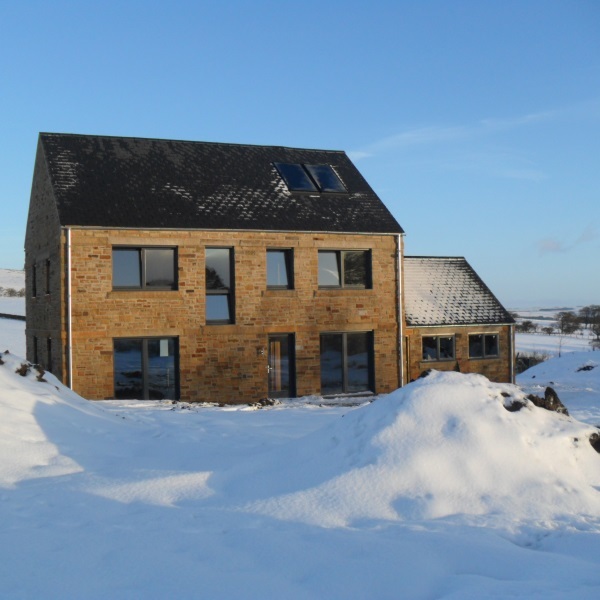 After sound testing at the Racecourse Passivhaus Development they found that the alarm clock, kitchen clock and the fridge were noisier than the MVHR. This is exactly what they were hoping to find and it means that the system had been designed properly, the contractor had completed the work appropriately and the system had also been commissioned well. 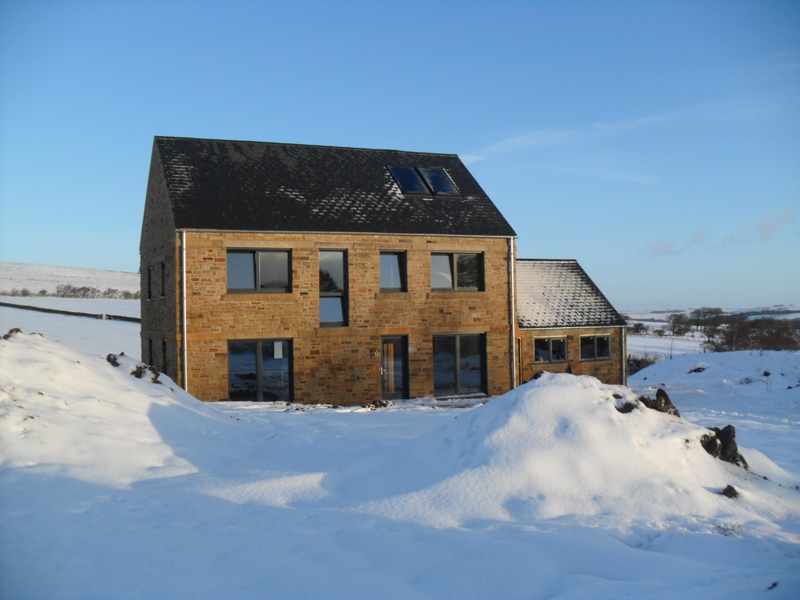 In a Passivhaus – just like any other build – it's down to the user on how to operate the building. Different fan speeds allow the occupant to control the rate at which the building is ventilated and of course the windows can be opened at any time of the year! Mark also points out that despite having tilt-and-turn windows, which are arguably more secure, some occupants at the Racecourse bungalows were still reluctant to keep windows open on summer nights because they perceived it as a security risk. This could therefore make the building more likely to overheat. Similarly there are associations between noise and ventilation, so people keep their windows closed up to the point that the threshold of discomfort becomes too great and then they'd rather put up with the outside noise and open the windows! If there are kinks in the ductwork then a higher fan power will be necessary to get air to the right places. This in turn leads to more noise and using more electricity energy. 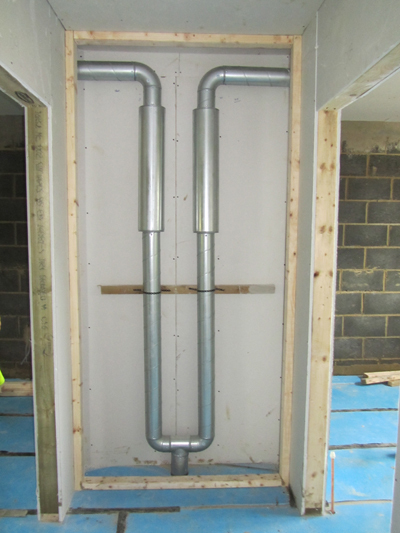 Rigid ductwork therefore ensures that there are no kinks and bends. 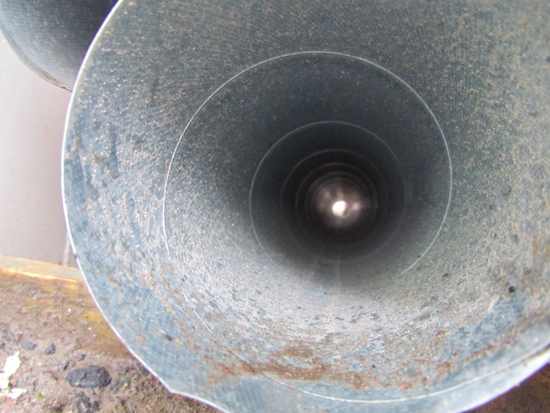 Using long duct runs not only means more material is being used, but there's more labour and more cost. Having dirty ductwork can lead to occupants getting drier eyes, sore throats and other things that are associated with Sick Building Syndrome. So it's important to ensure that the ductwork is clean when it's designed and constructed because by far the most dirt will get into the system during the construction process. 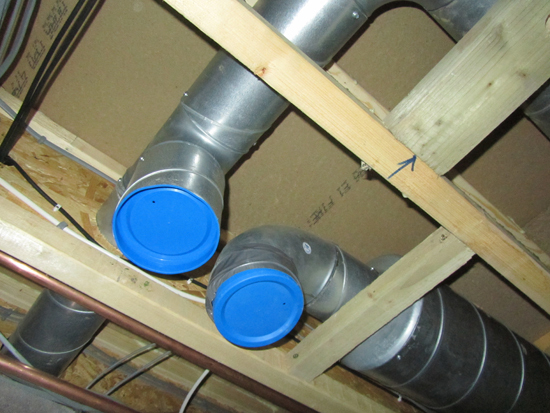 Bad practice – dirty ductwork! 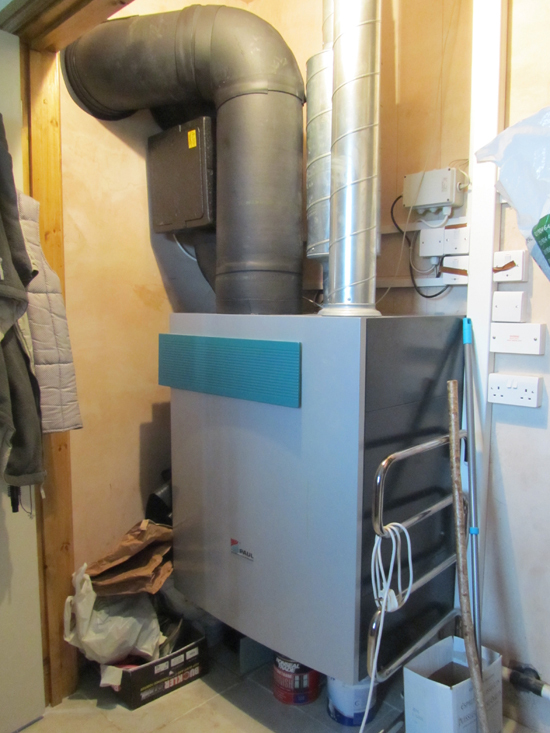 Mark even got Wolfgang Feist to take a look inside his ventilation heat recovery system! It's been in place for 10 years and he reported back that it's as clean as the day it was finished. As long as no dirt got into the system initially and the filters have been changed as required, there should be no cause for concern. Download a transcript of the interview with Mark Siddall. I've Been a Guest on a Few Podcasts Lately! Home Style Green: I chatted with Matthew Cutler-Welsh about my first year of research at House Planning Help and my e-book Why Most People Don't Build Energy Efficient Homes. The Construction Marketing Podcast: Pritesh Patel and I were able to geek out on internet marketing! So if you're looking to take your first steps into content marketing, there's loads of great information in this episode. Slender Safari: I met Shey Harms at the New Media Expo in Las Vegas, USA. After I had some issues with American portion sizes she asked me onto her weight-loss podcast to compare and contrast British and American cultures when it comes to food.